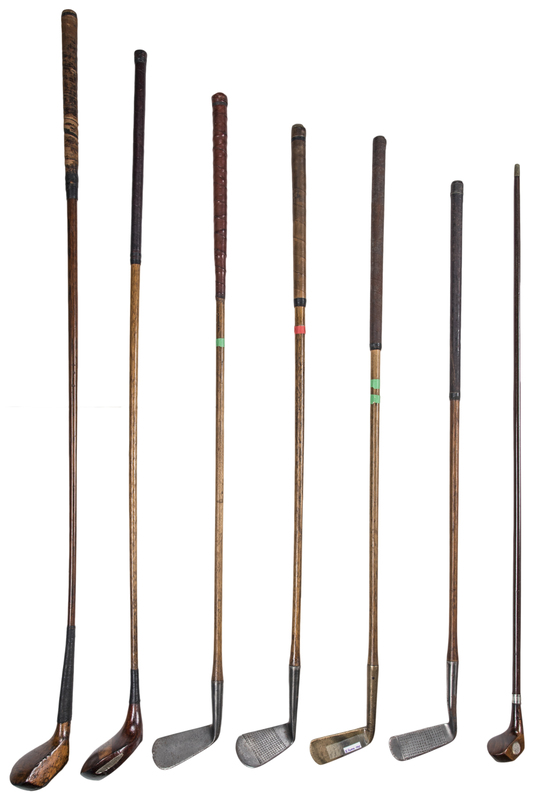 Offered here is a collection of seven vintage St. Andrews and British Isles produced golf clubs dating to the era of circa 1895-1910. 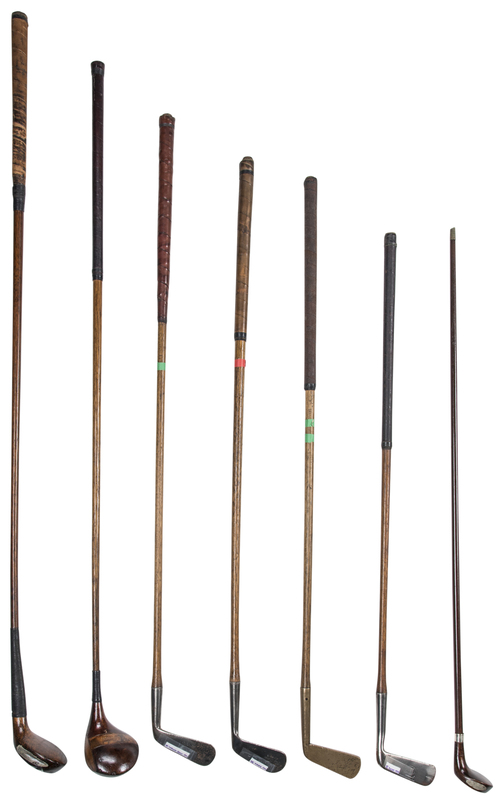 The clubs included in this lot are two putters, a scare neck driver, a brassie, a lofting iron, a mashie, and a child-sized golf club. 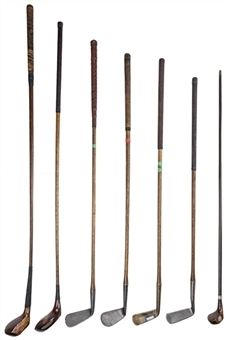 These clubs all have shafts made of wood and either a wood or metal head. The clubs are in good condition and offer an excellent chance to own several rare and historically importing golf artifacts.